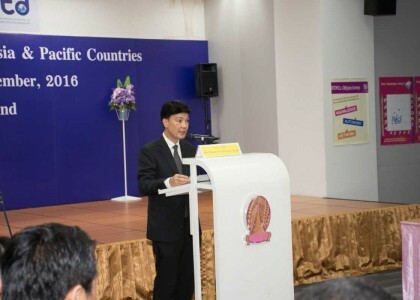 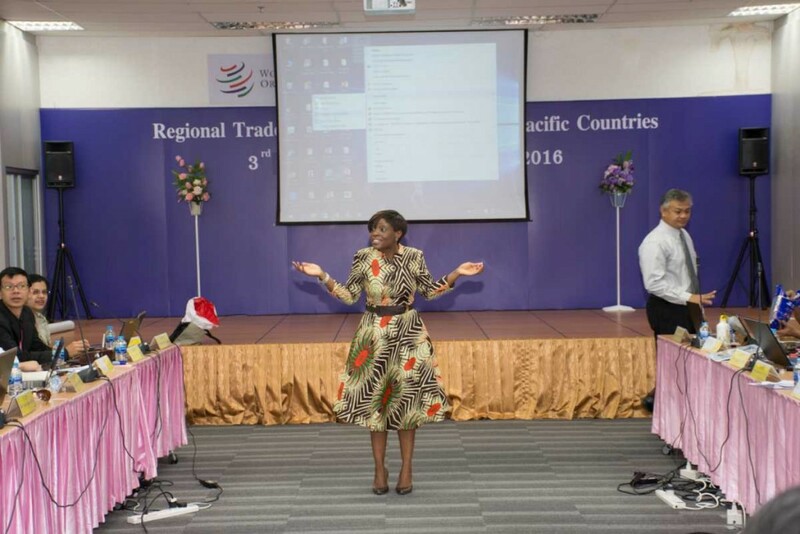 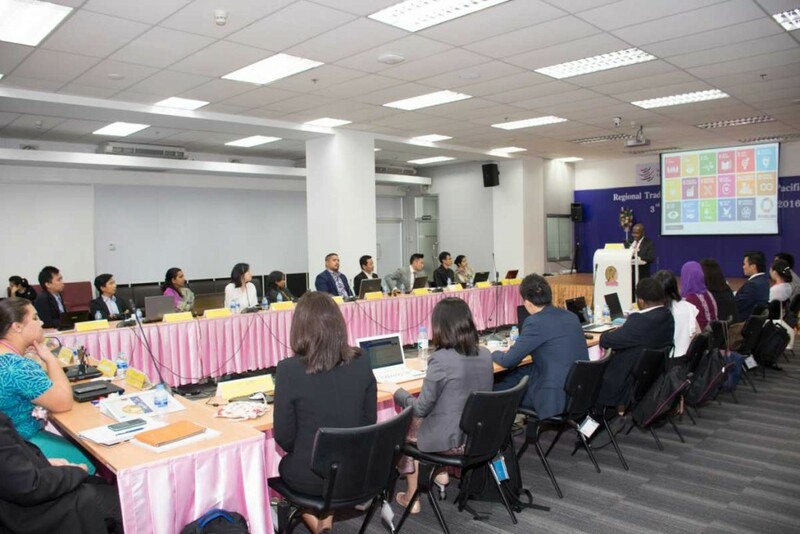 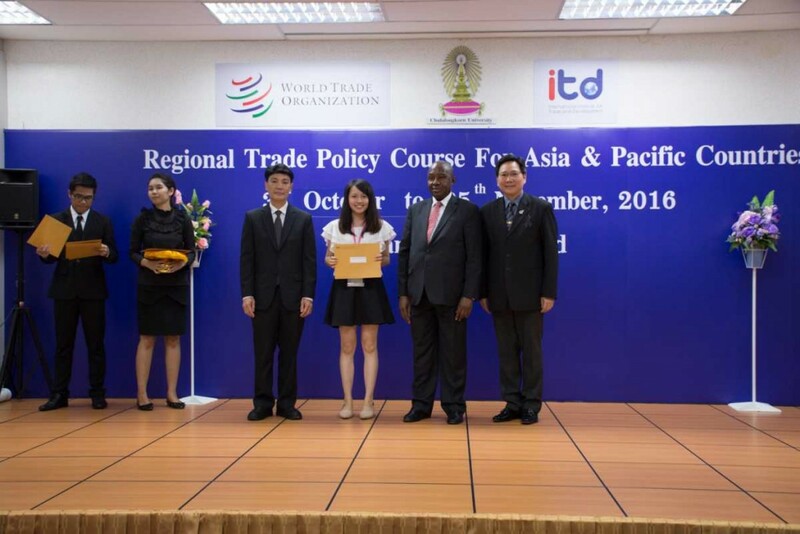 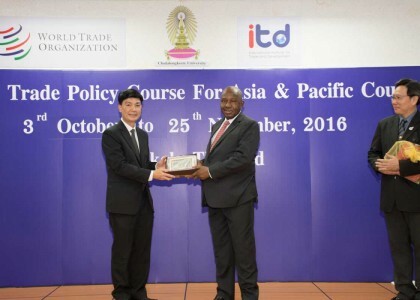 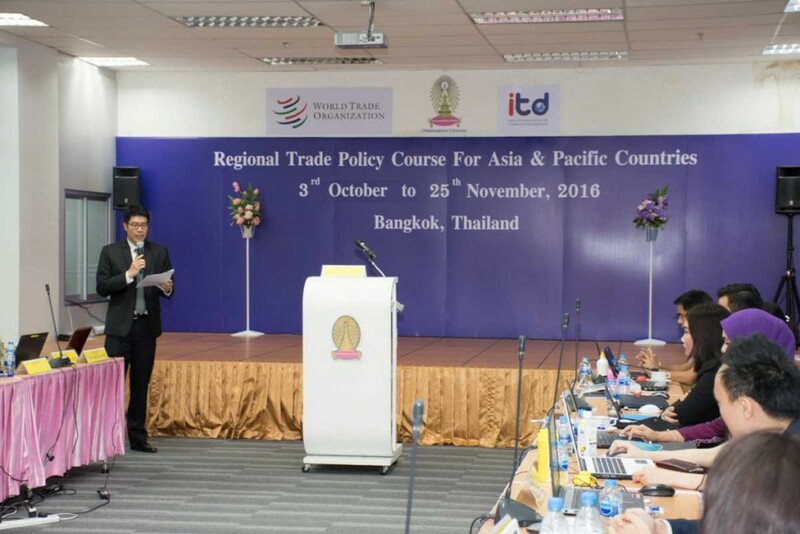 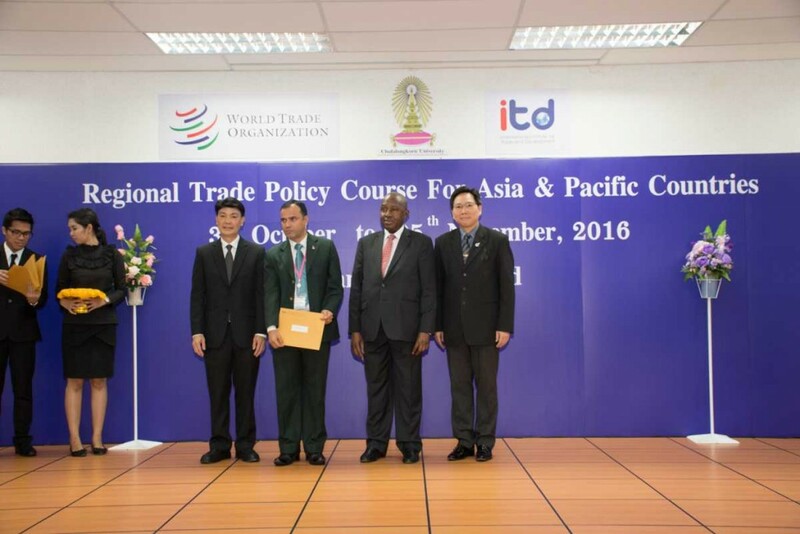 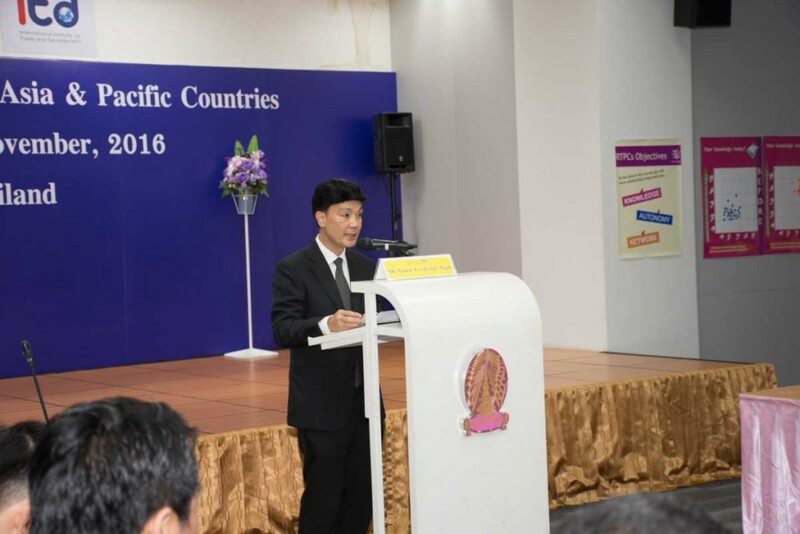 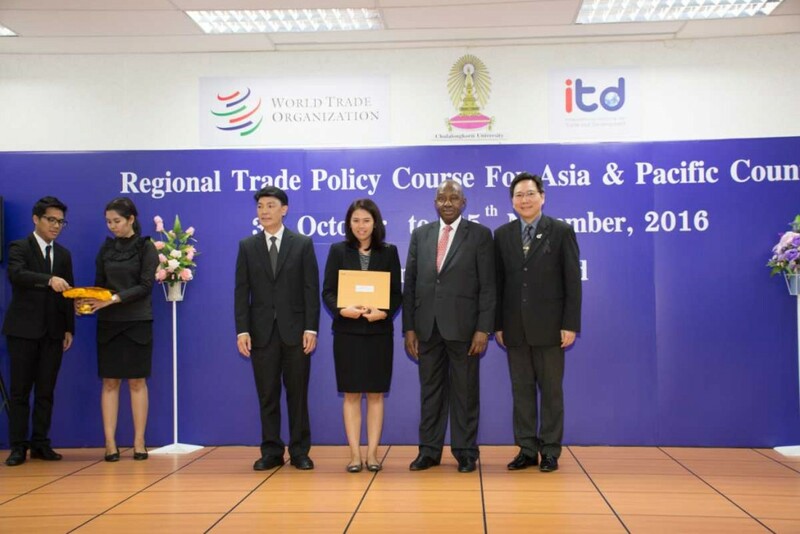 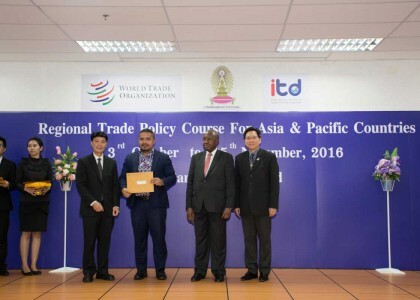 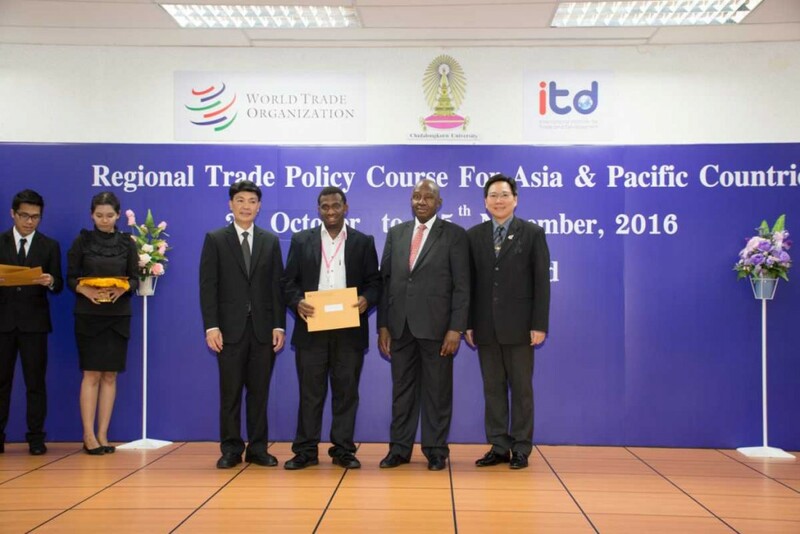 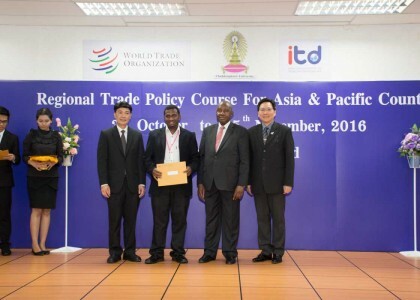 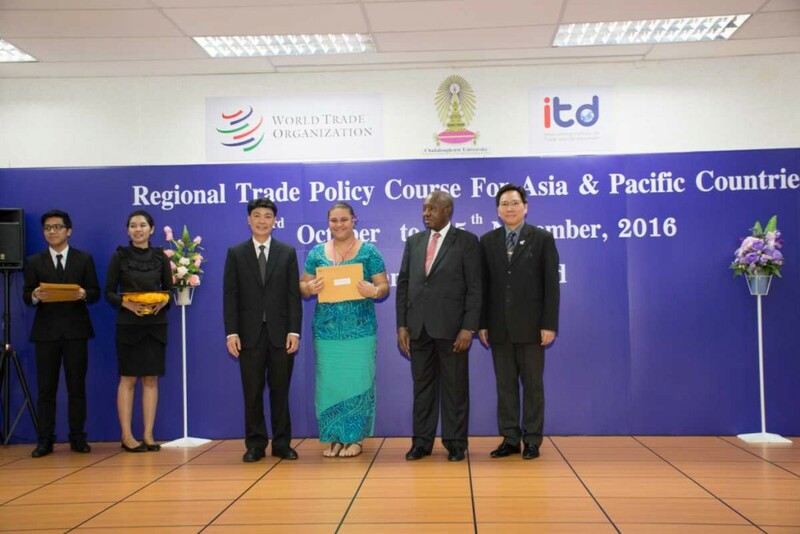 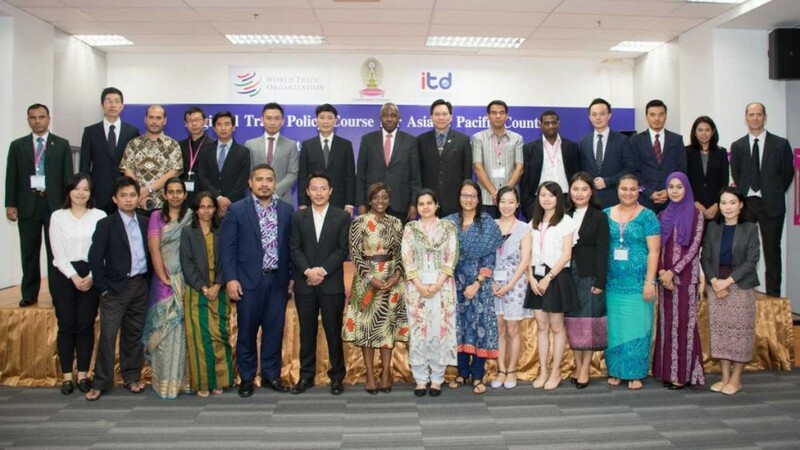 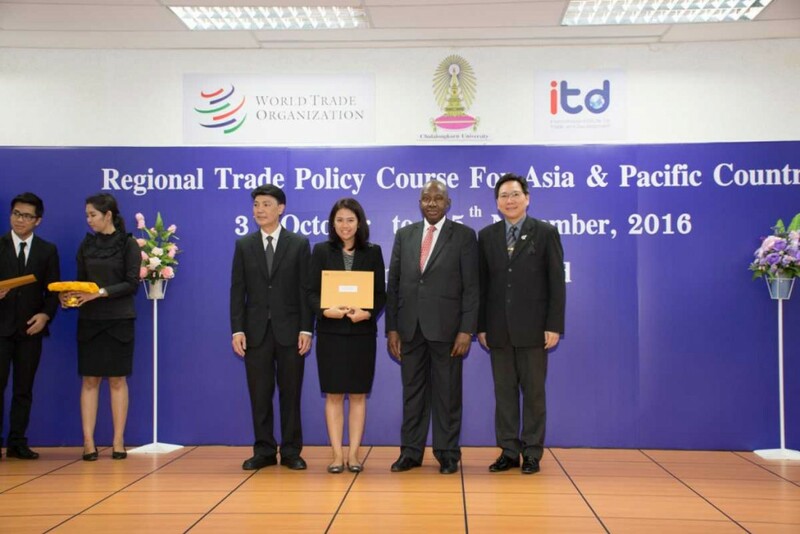 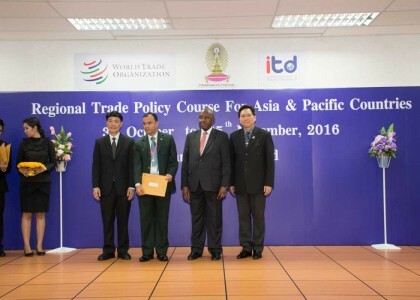 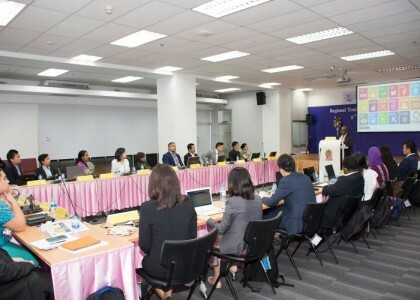 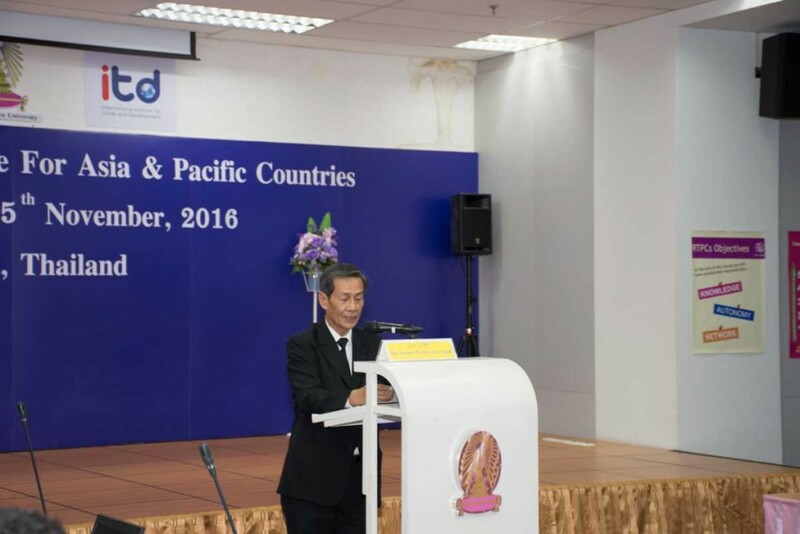 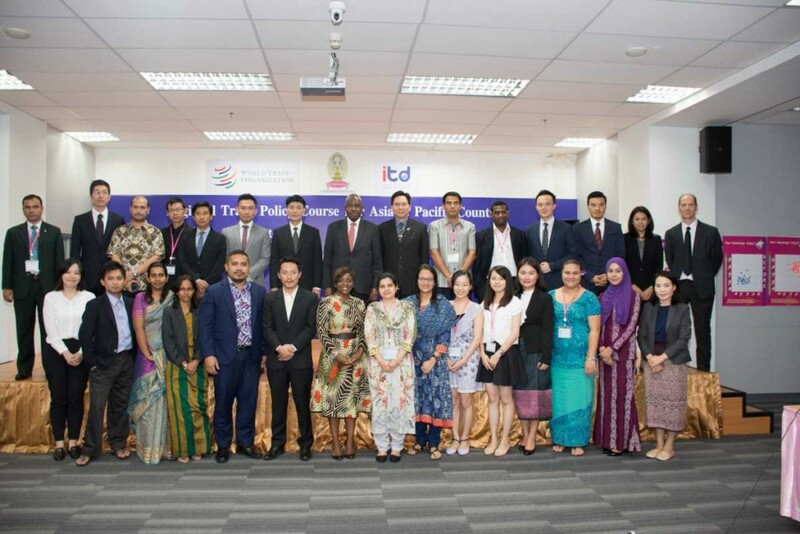 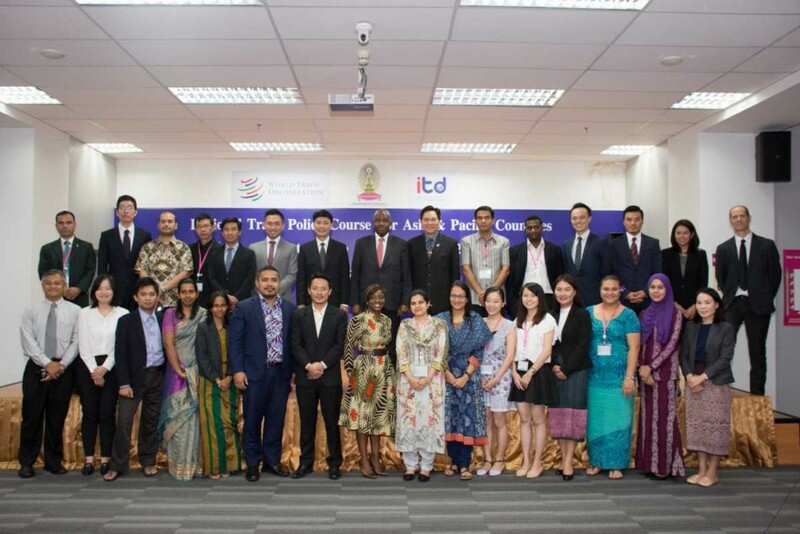 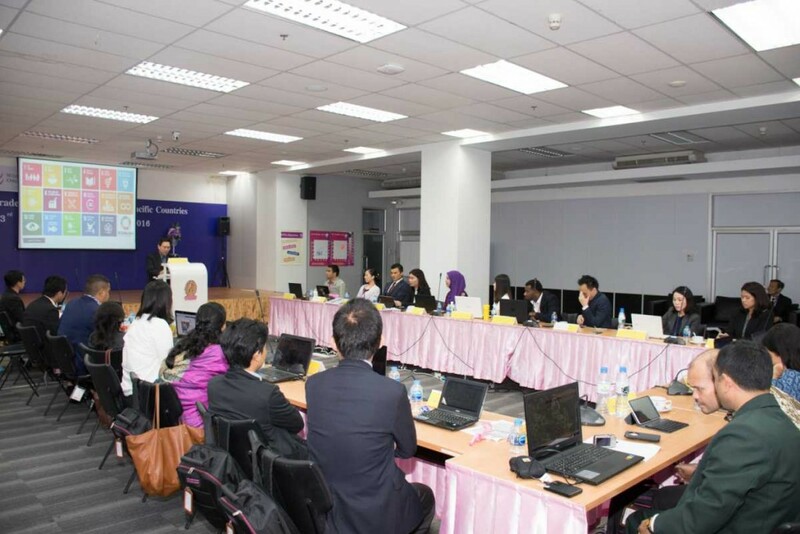 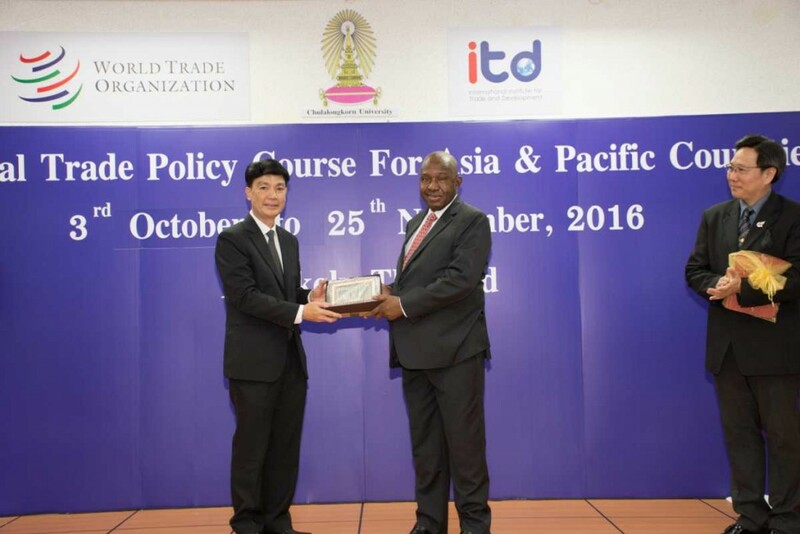 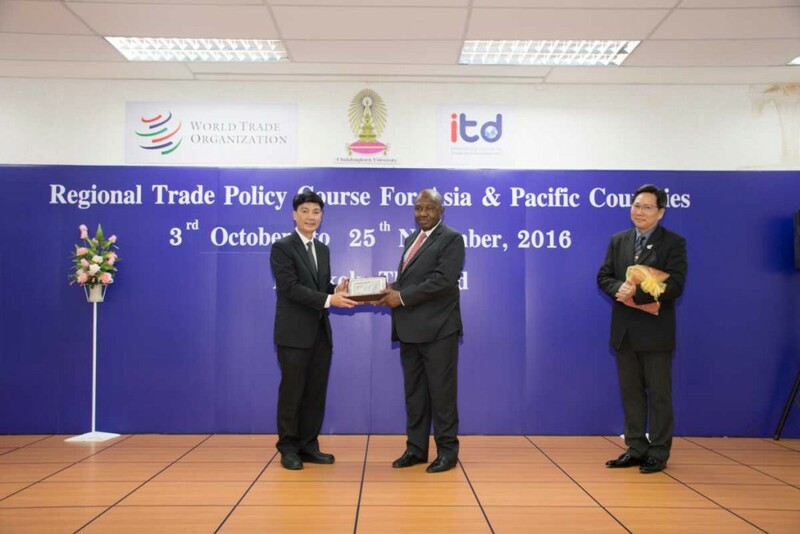 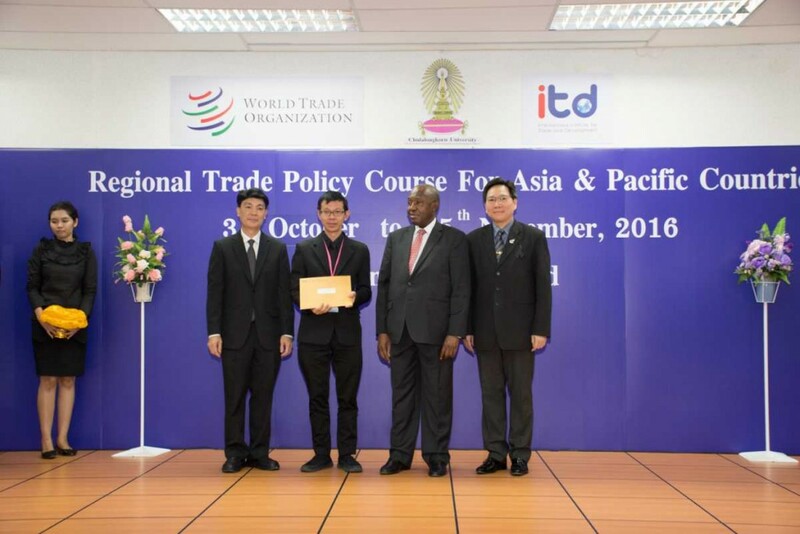 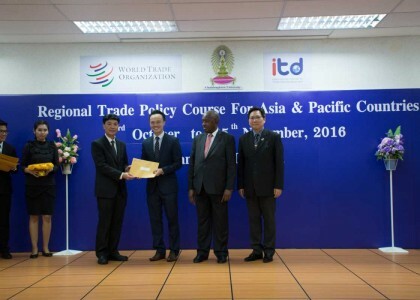 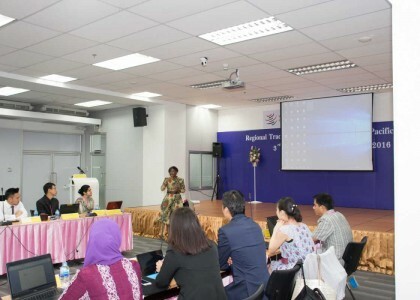 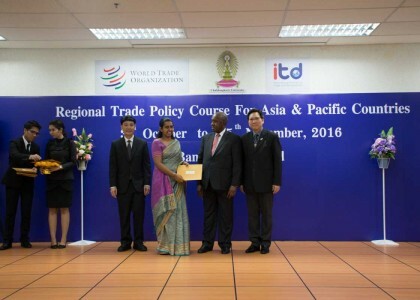 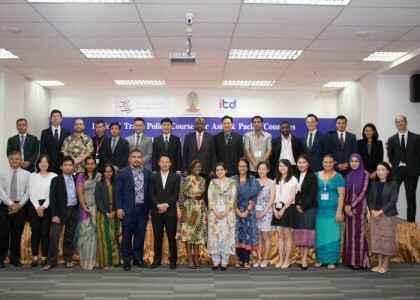 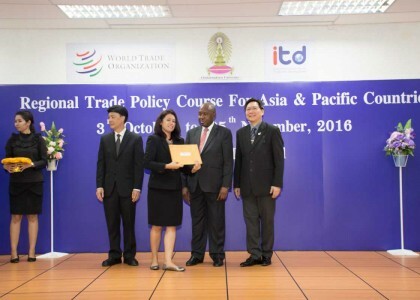 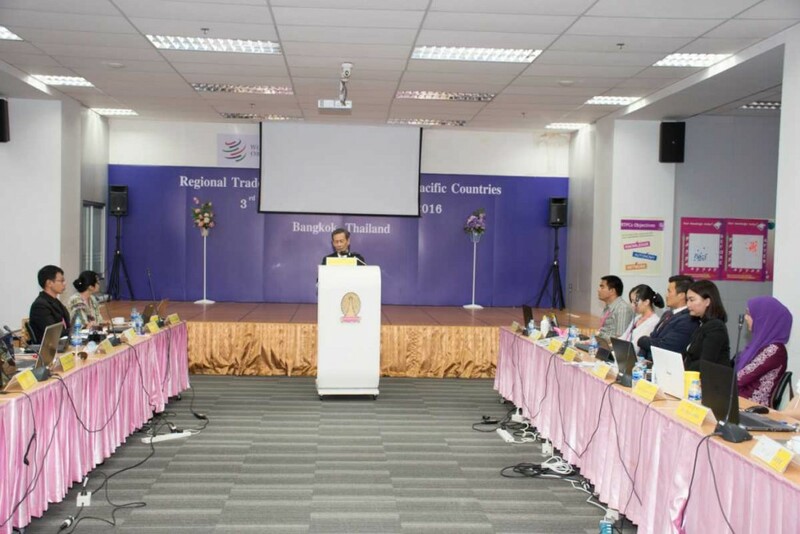 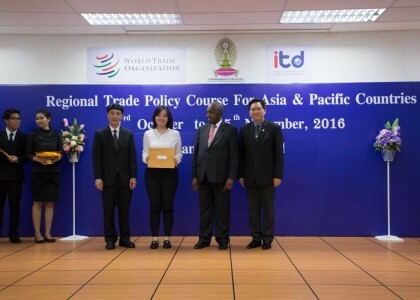 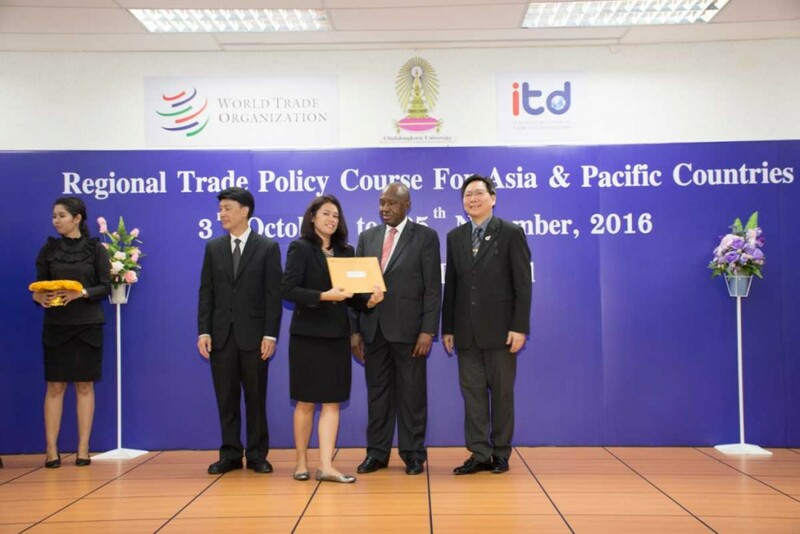 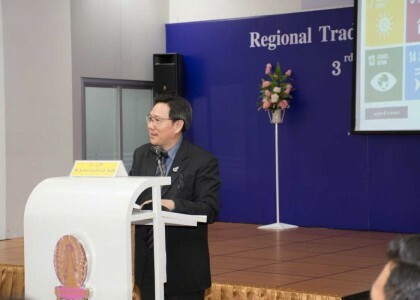 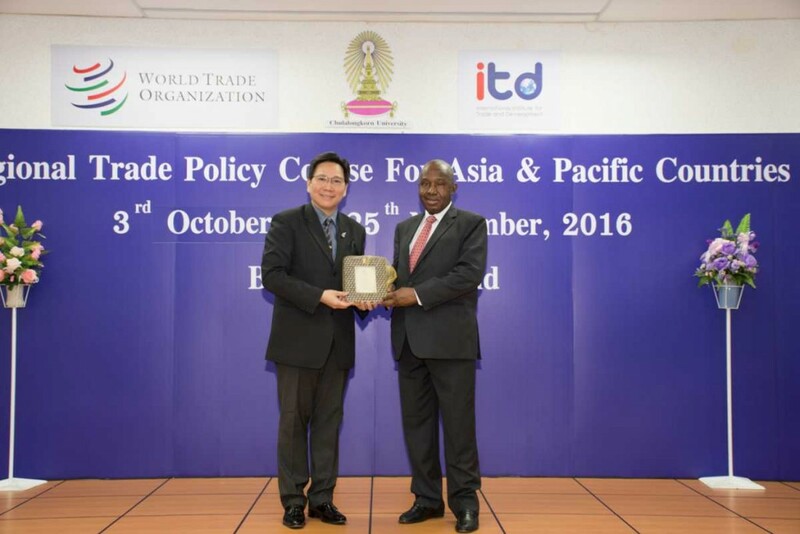 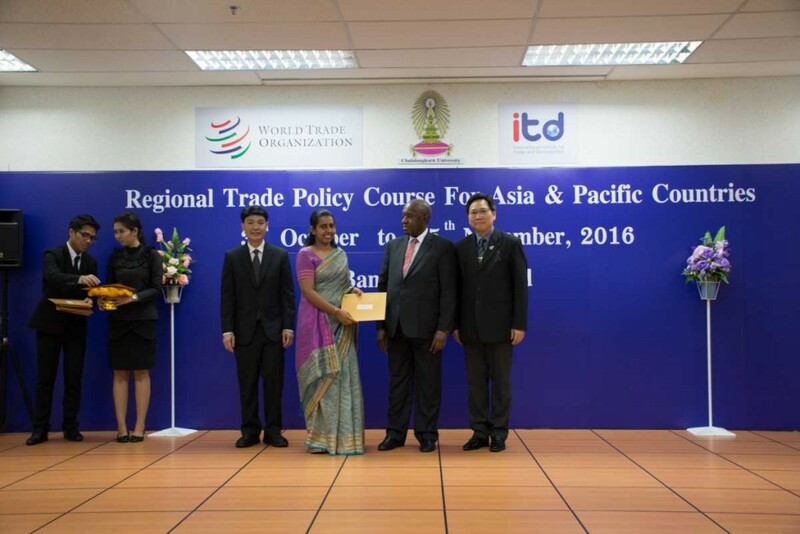 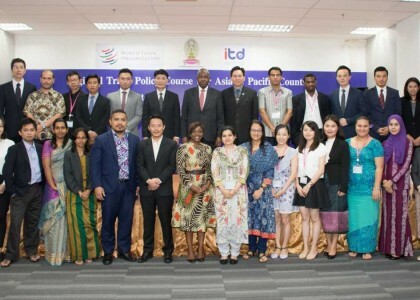 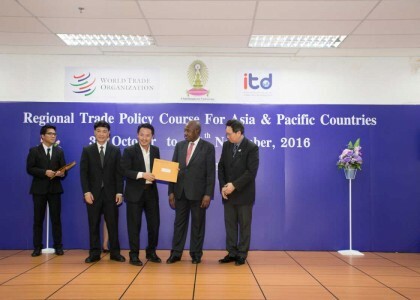 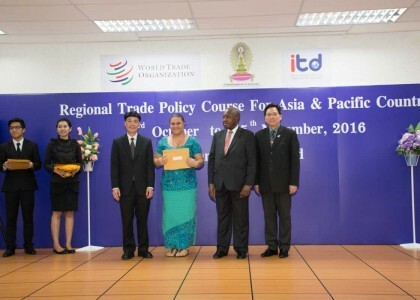 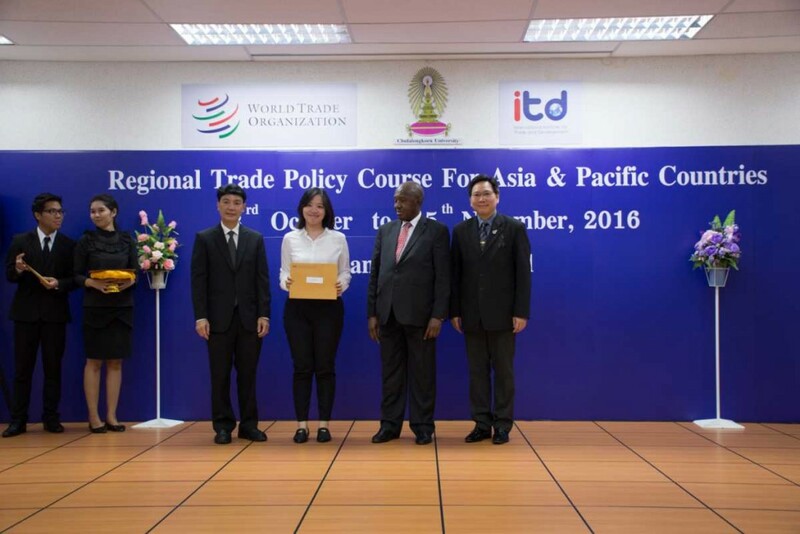 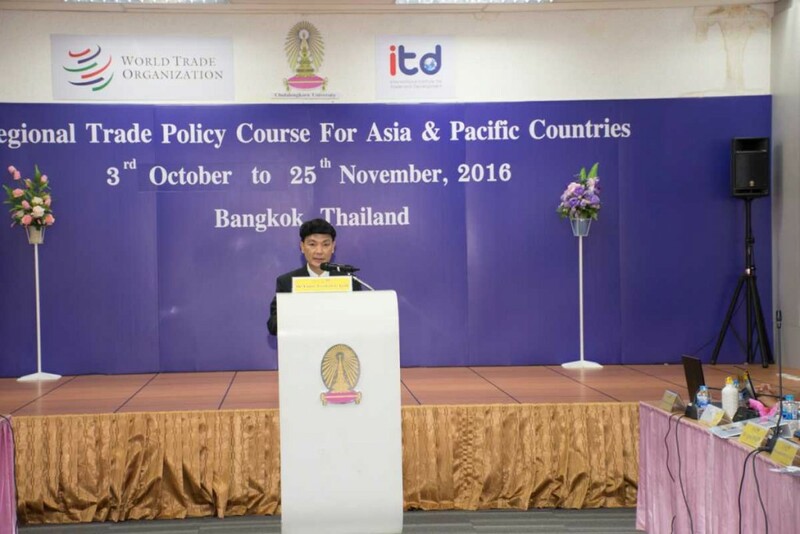 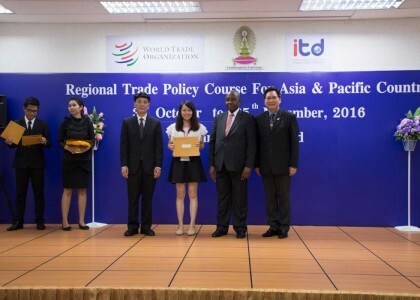 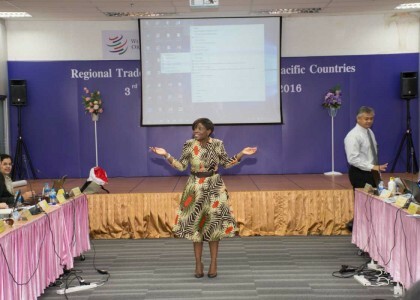 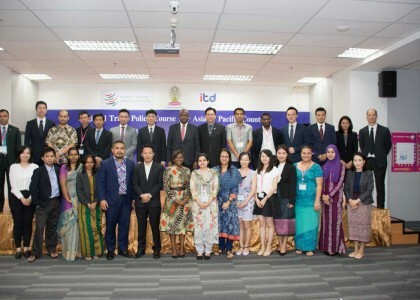 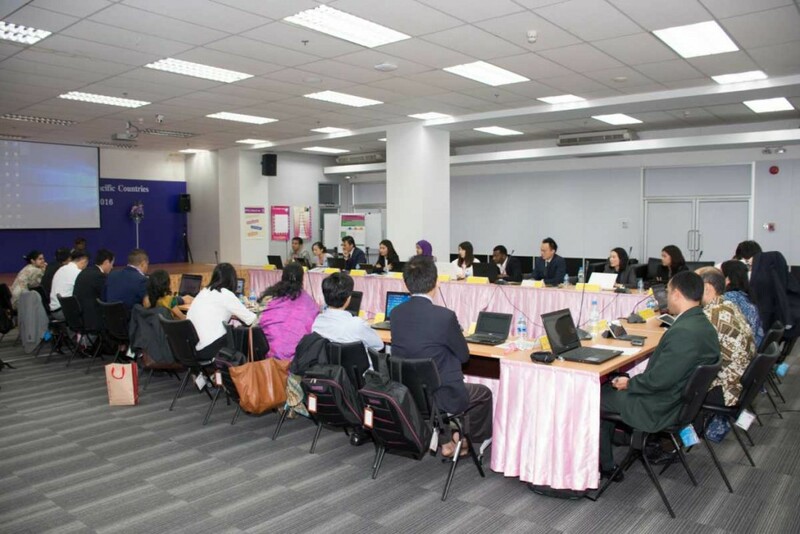 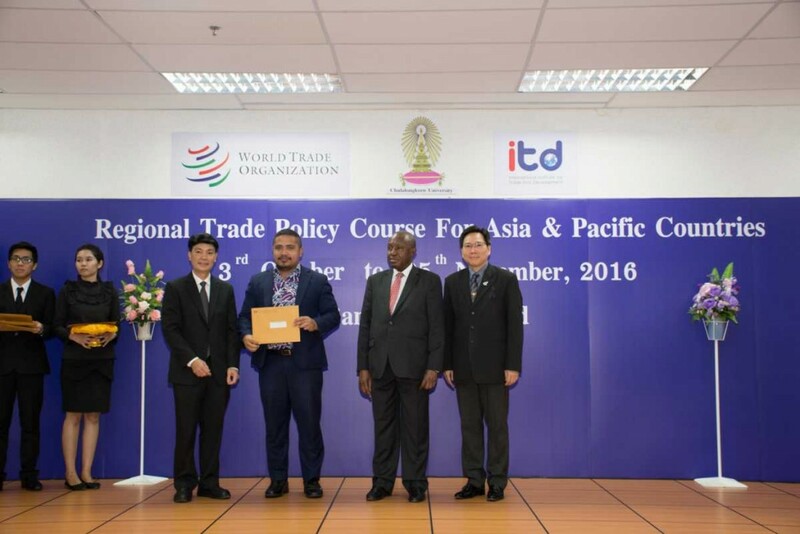 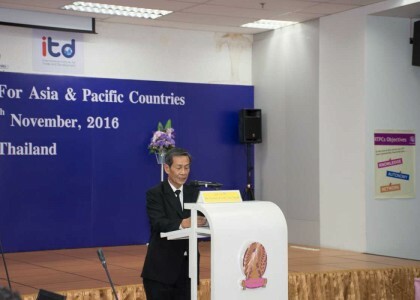 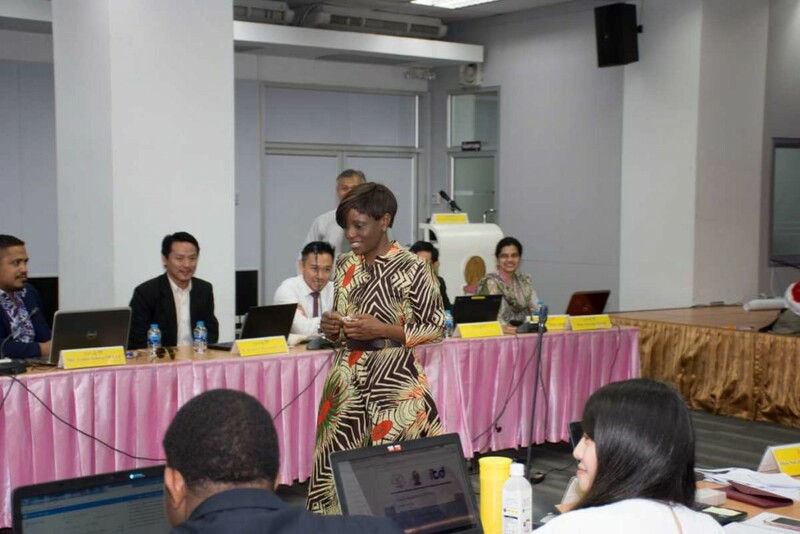 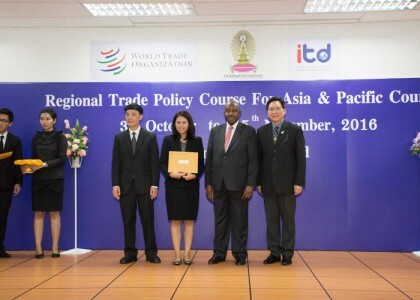 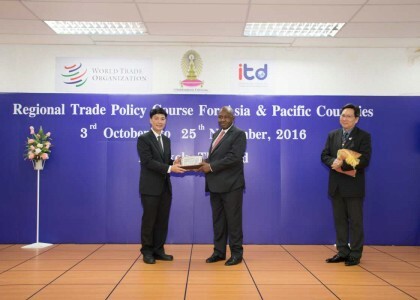 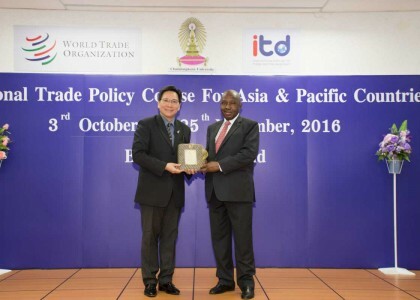 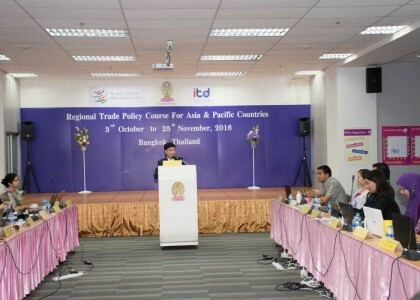 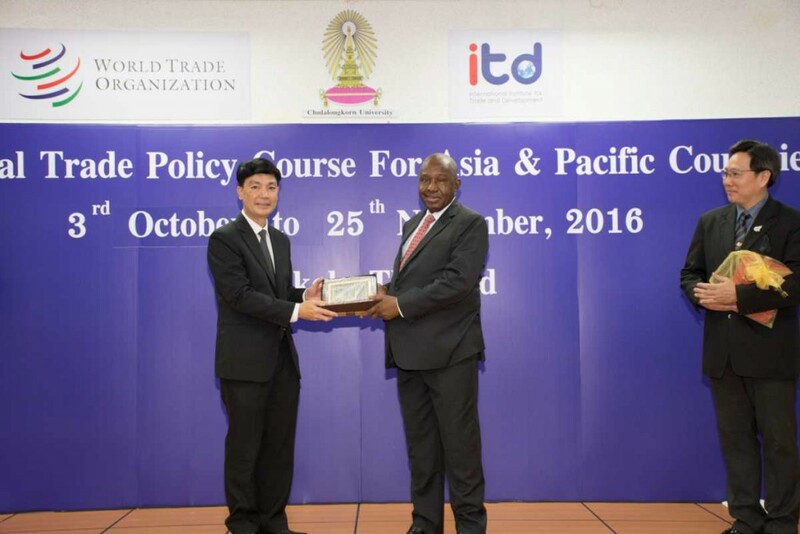 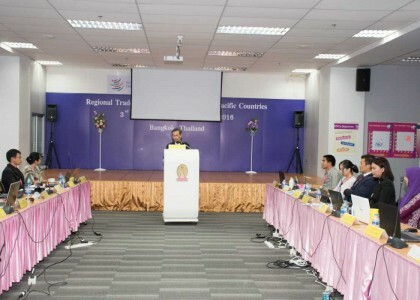 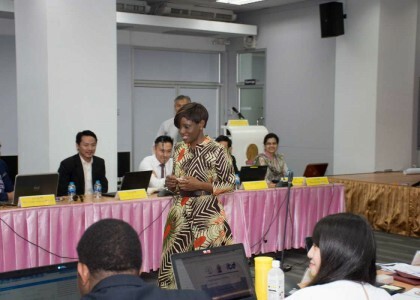 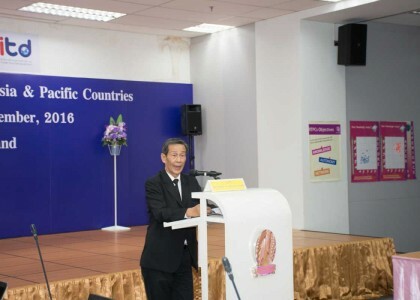 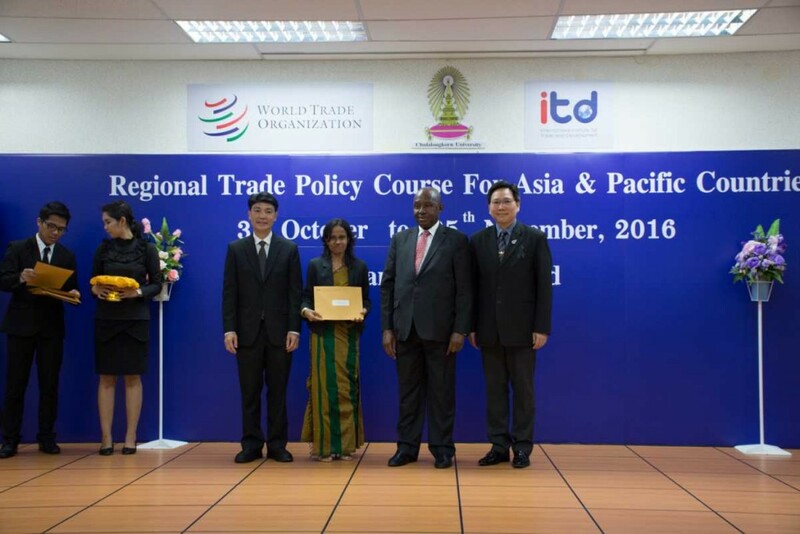 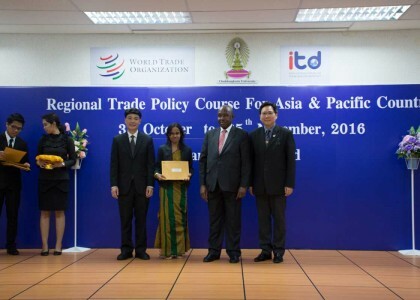 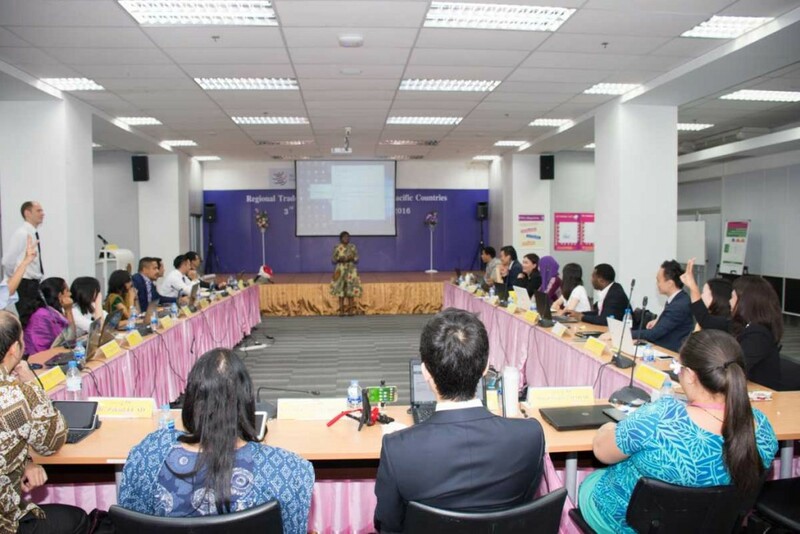 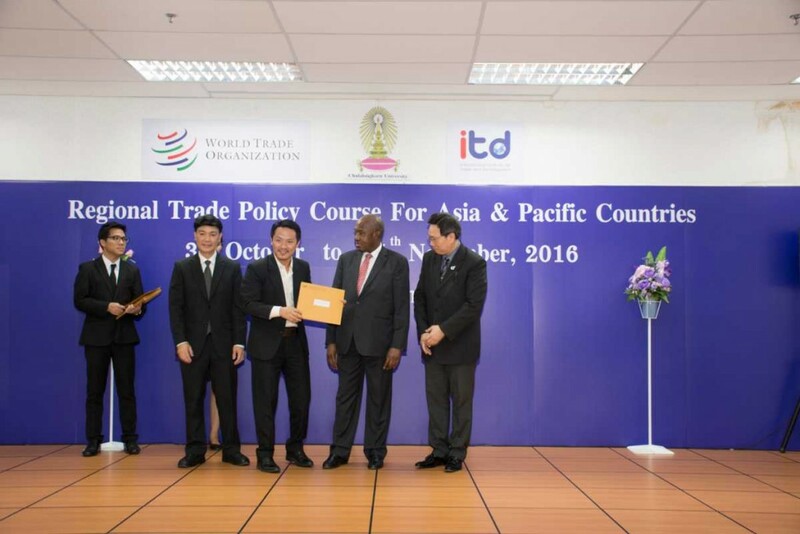 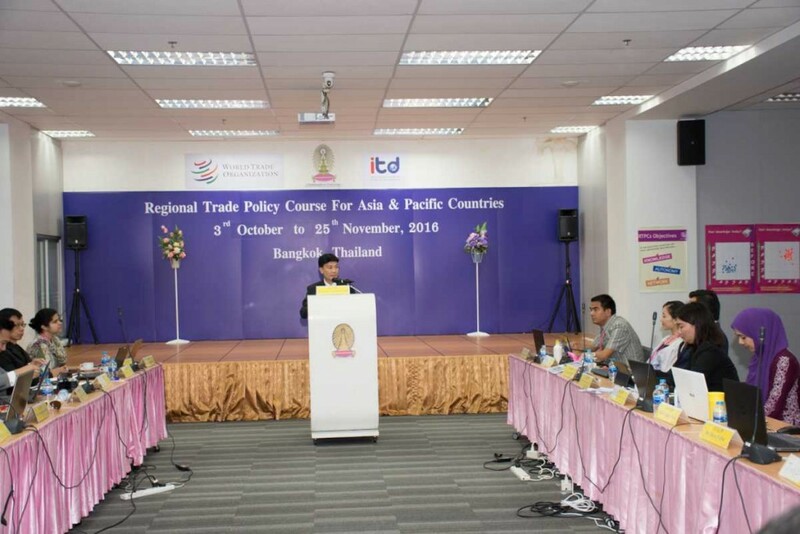 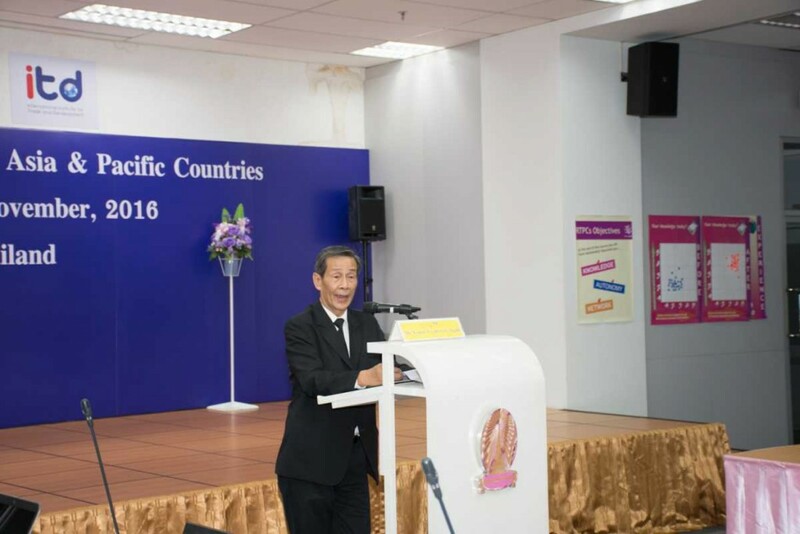 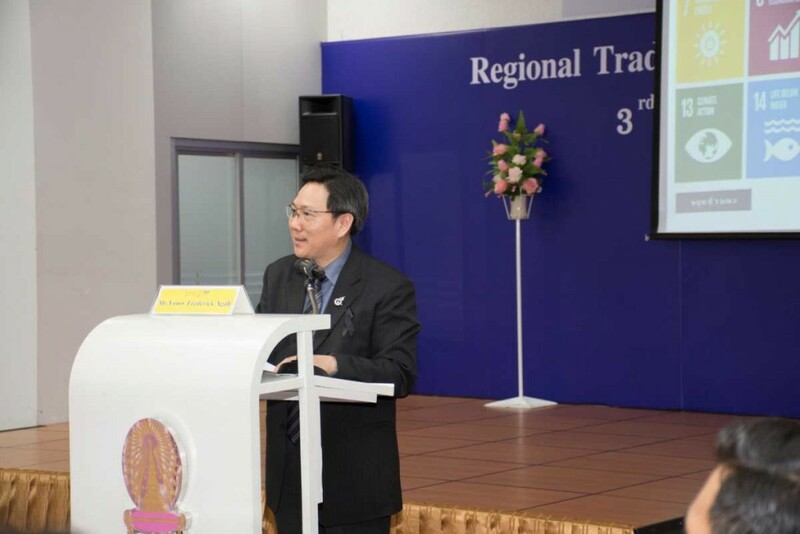 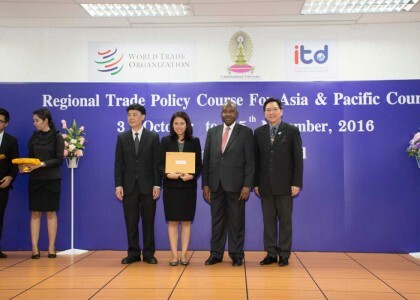 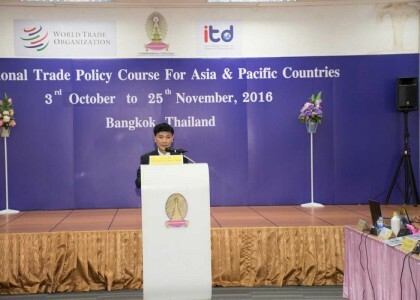 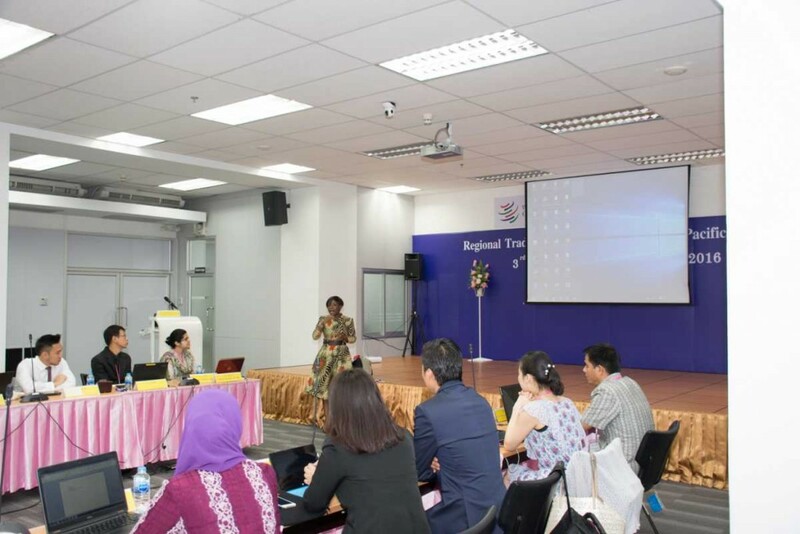 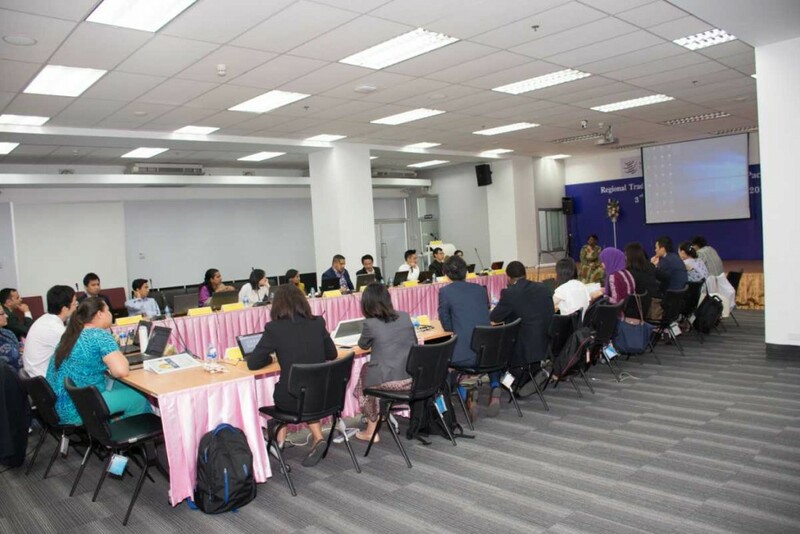 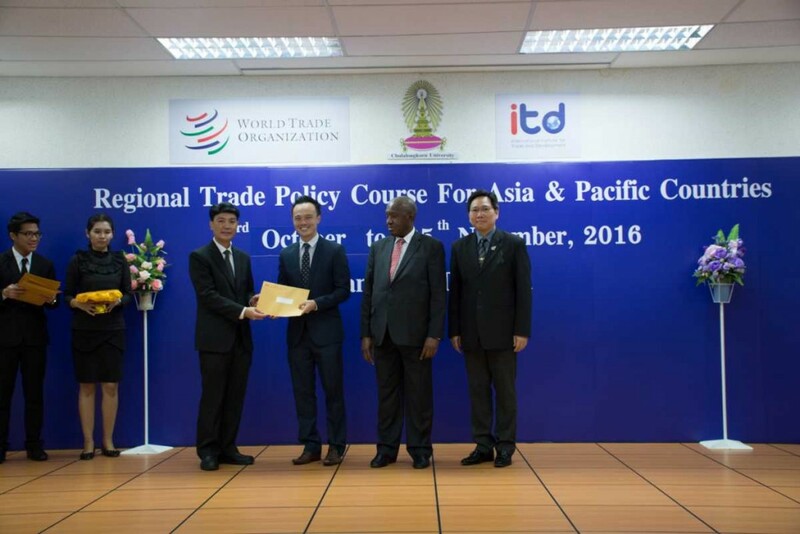 On Friday 25 November 2016, International Institute for Trade and Development (ITD) held Closing Ceremony of Regional Trade Policy Course for Asia and Pacific Countries (RTPC 2016) Training at Research Building of Chulalongkorn University, Chula Unisearch, Chulalongkorn University. 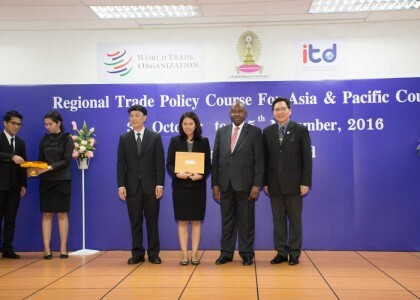 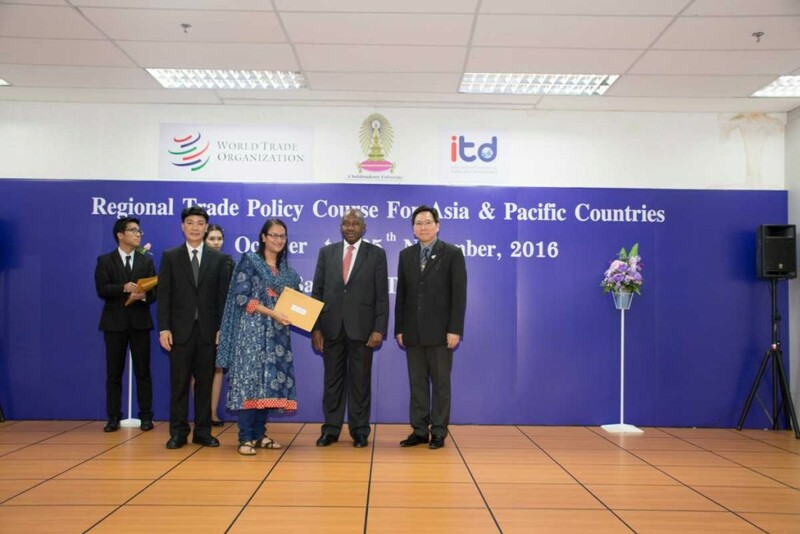 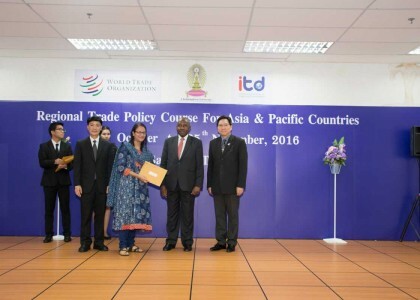 In the morning of ceremony, Mr. Yonov Frederick Agah, deputy director of World Trade Organization delivered special speech and gave certificates to attendants and Dr. Kamalin Pinichphuwadol, director of International Institute for Trade and Development (Public Organization), Asst. 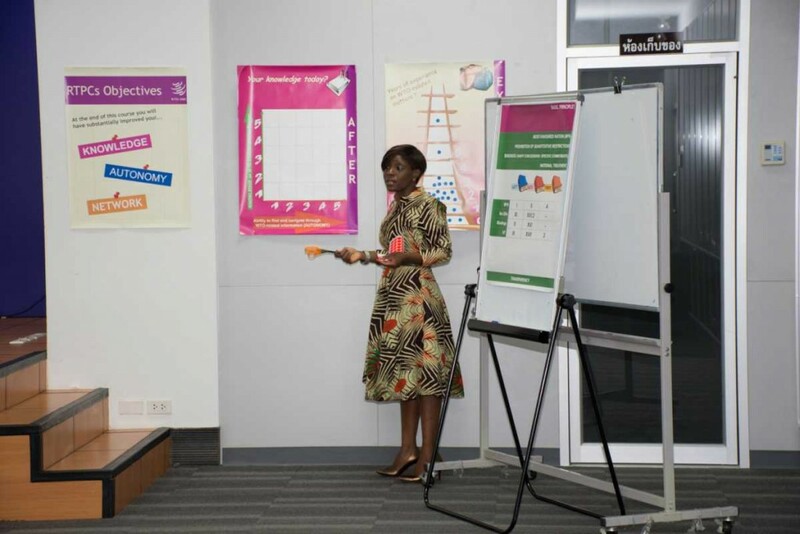 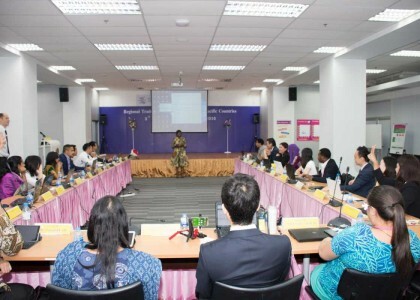 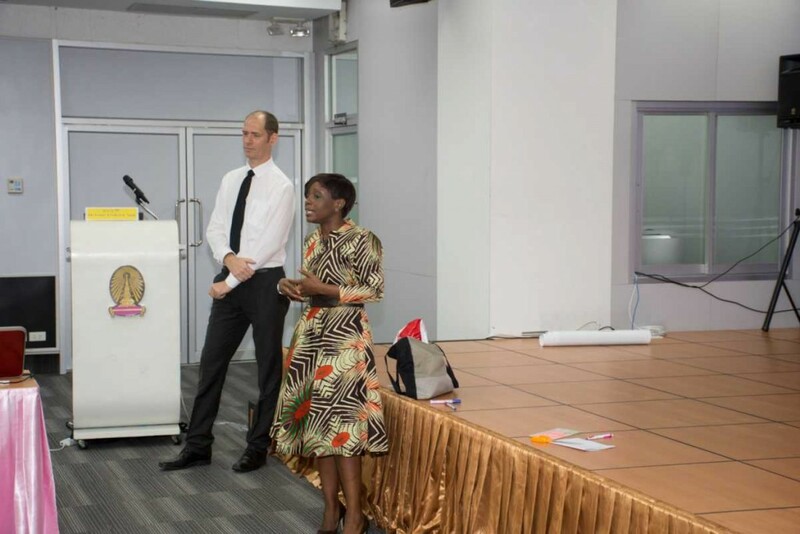 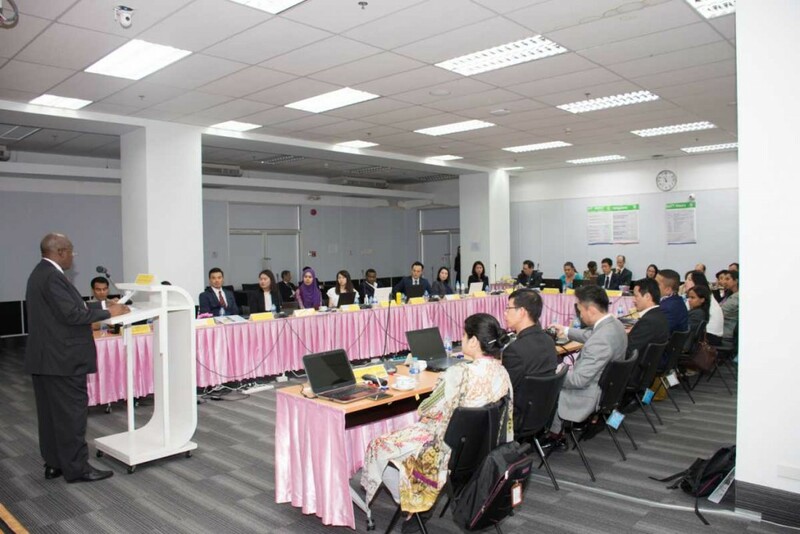 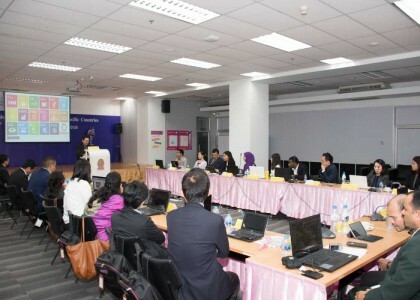 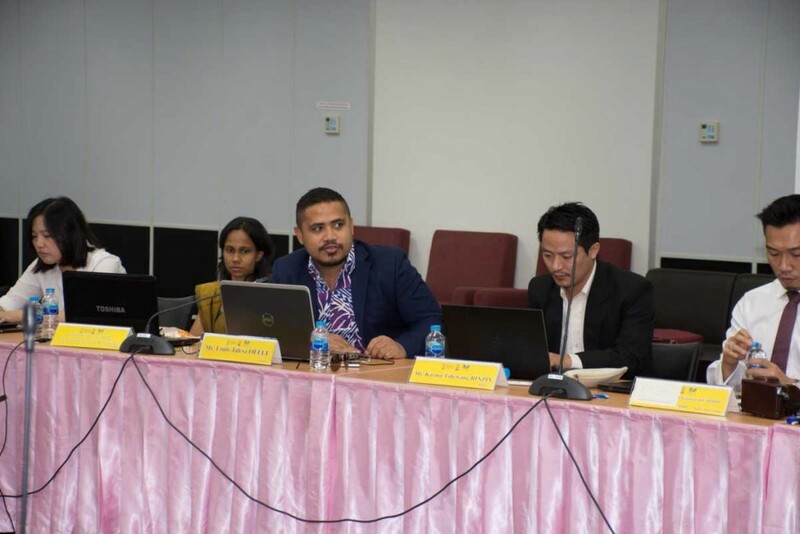 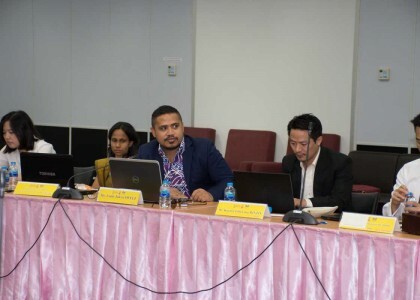 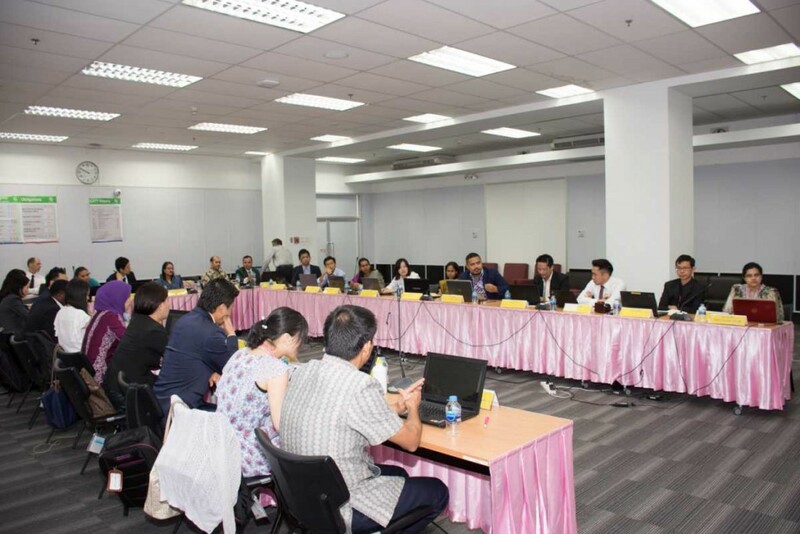 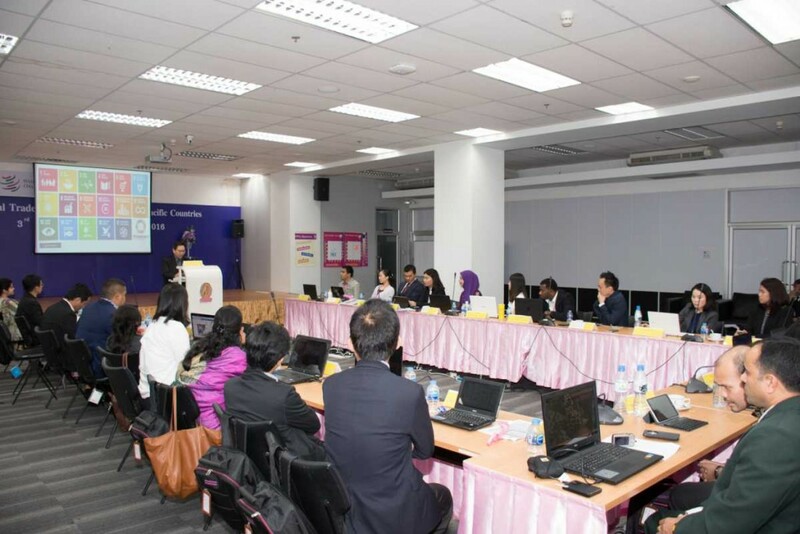 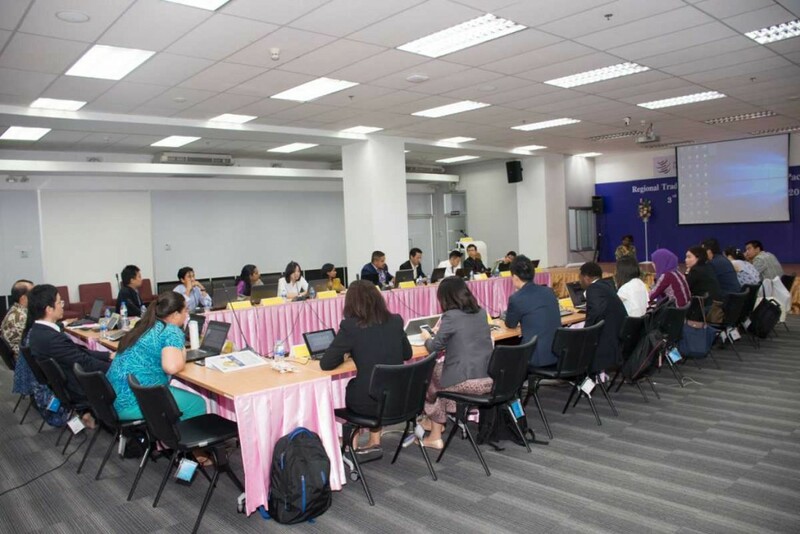 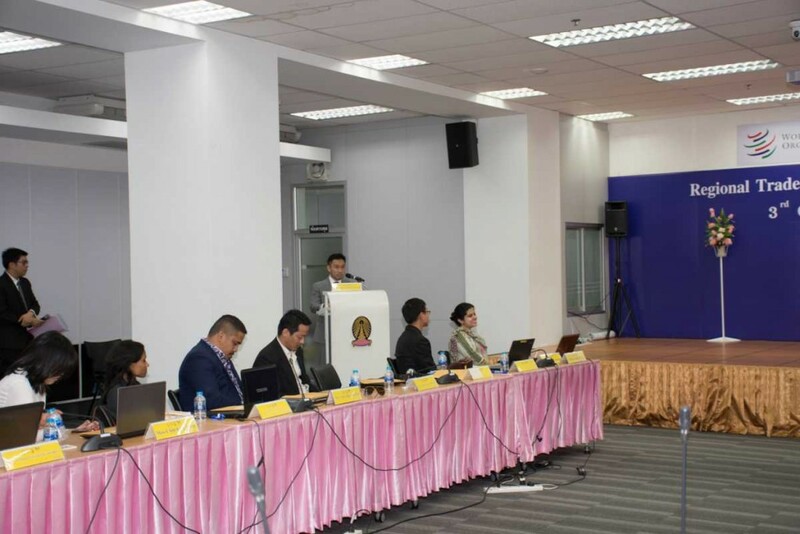 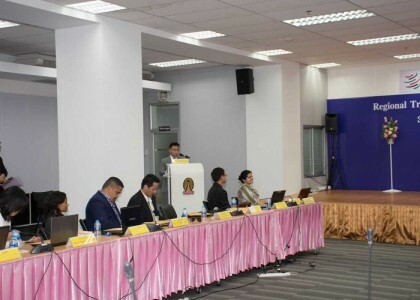 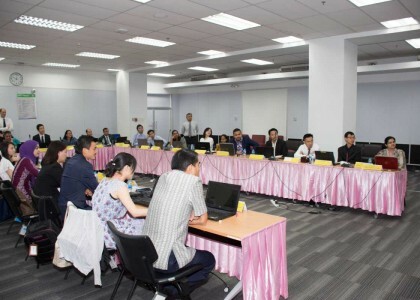 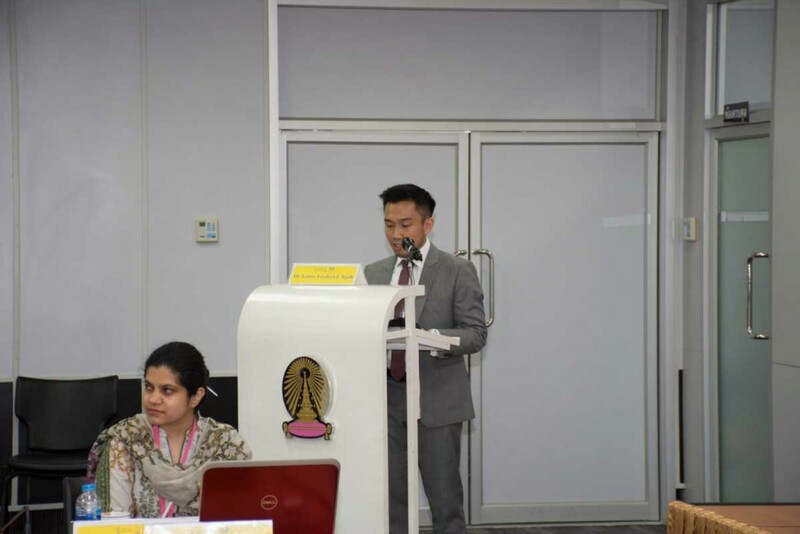 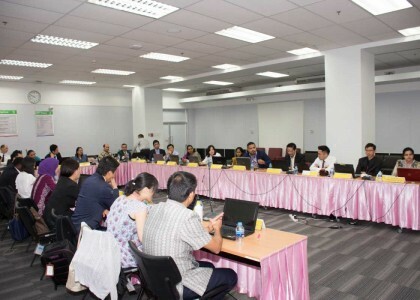 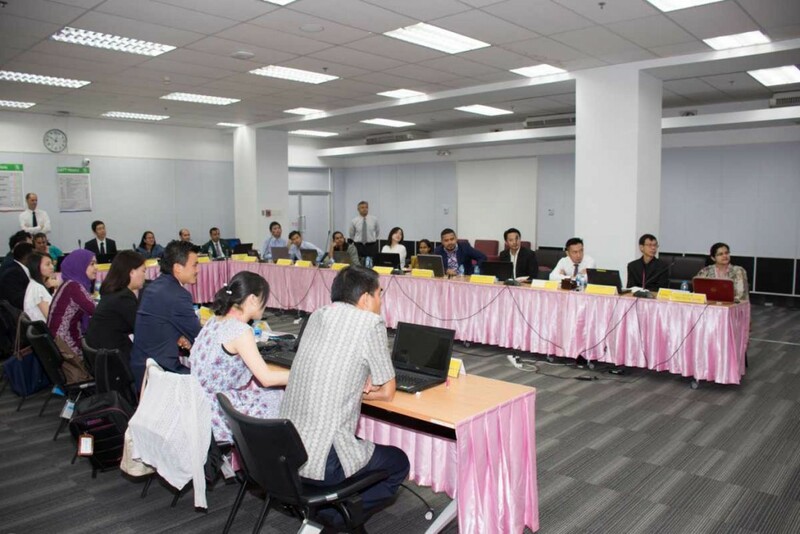 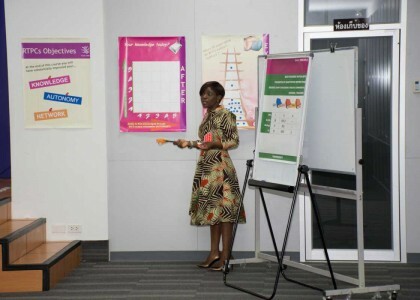 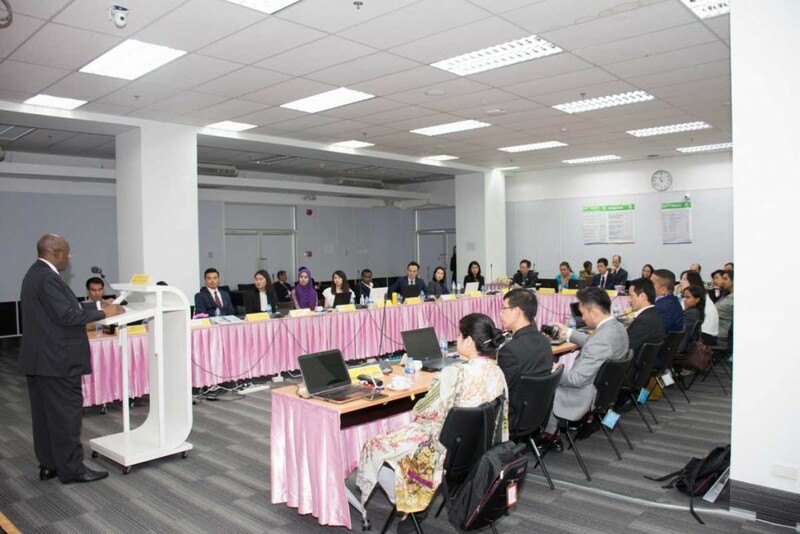 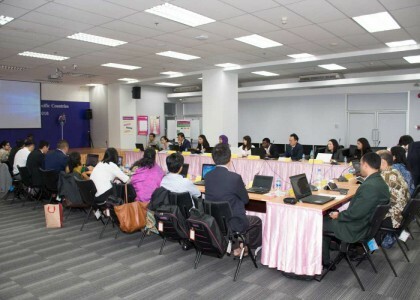 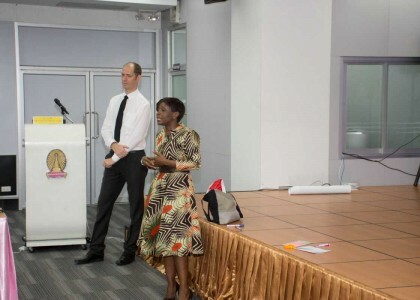 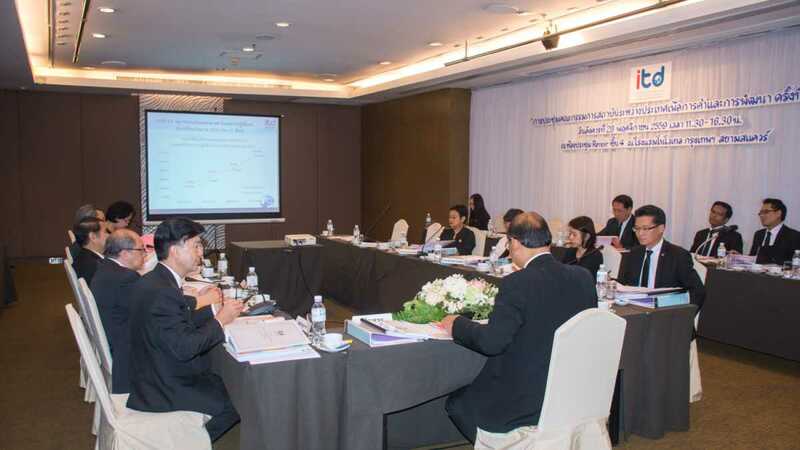 Prof. Dr. Pomthong Malakul na Ayutthaya, vice president of Chulalongkorn University and Associate Professor Taweewong Sriburi, managing director of Chula Unisearch, Chulalongkorn University delivered speech to close training project. 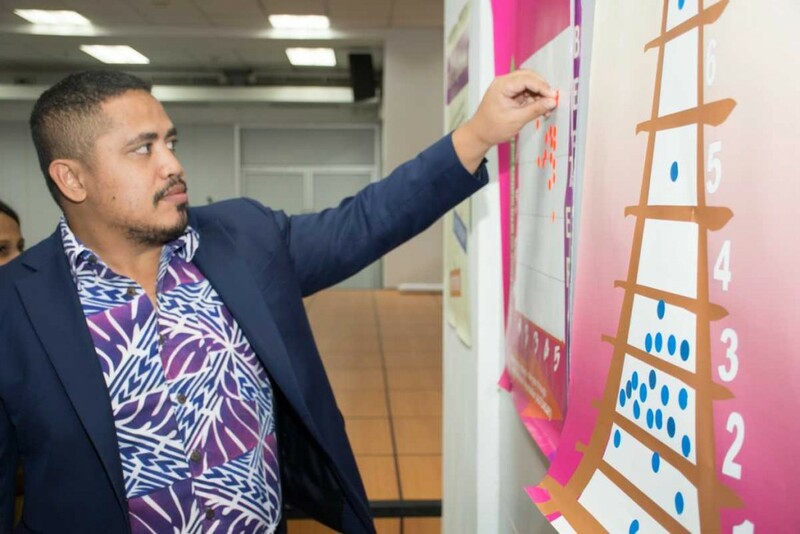 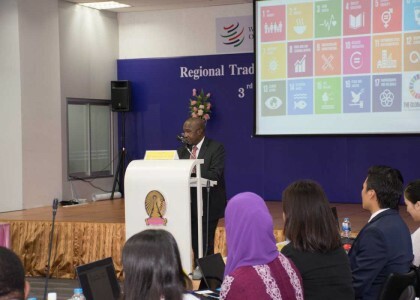 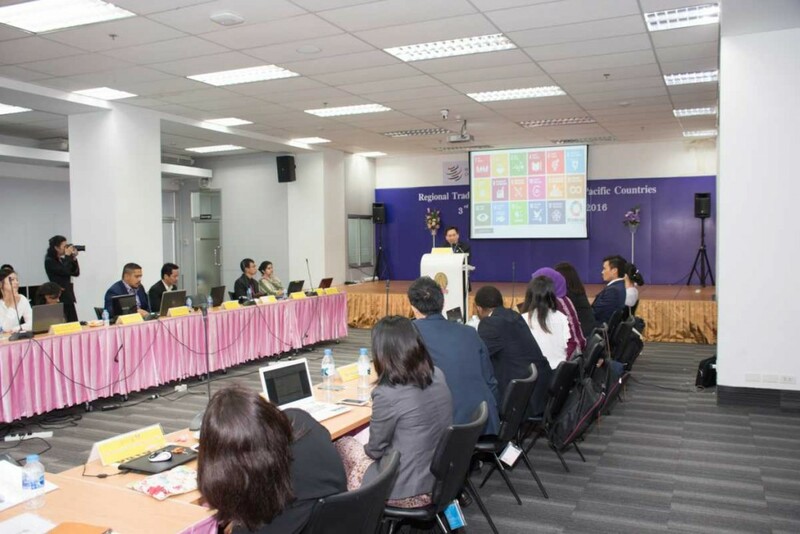 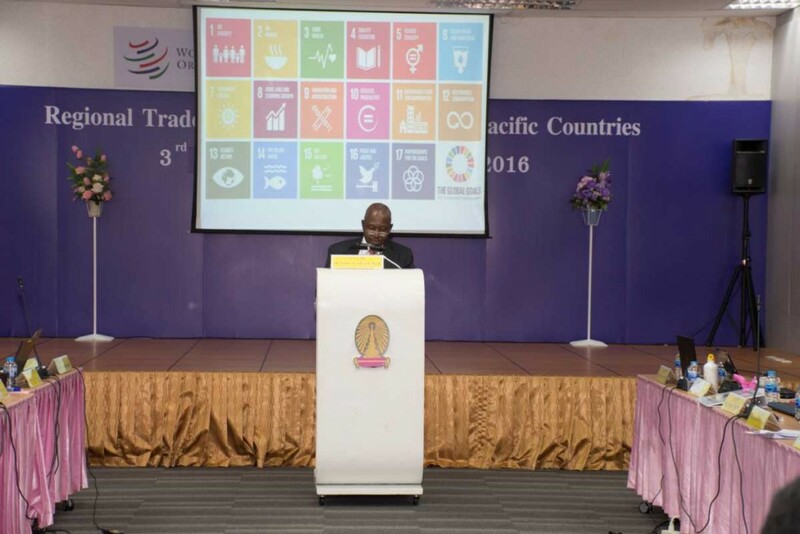 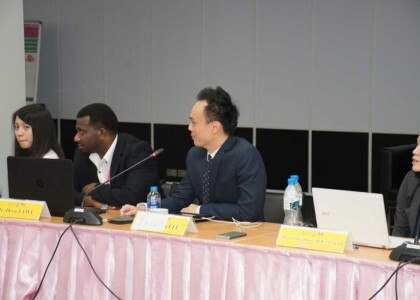 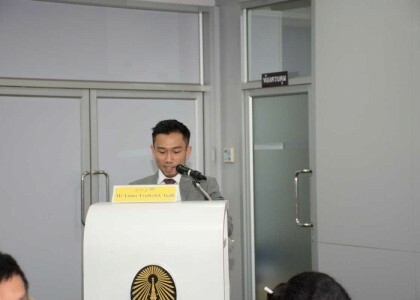 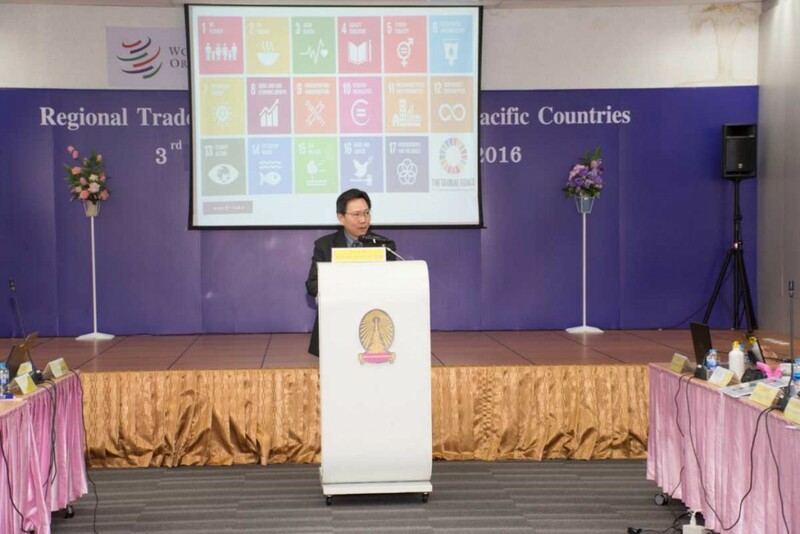 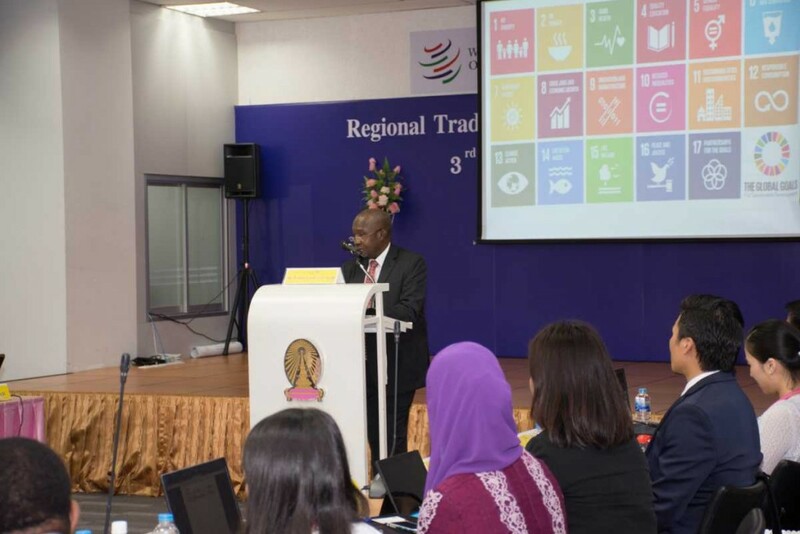 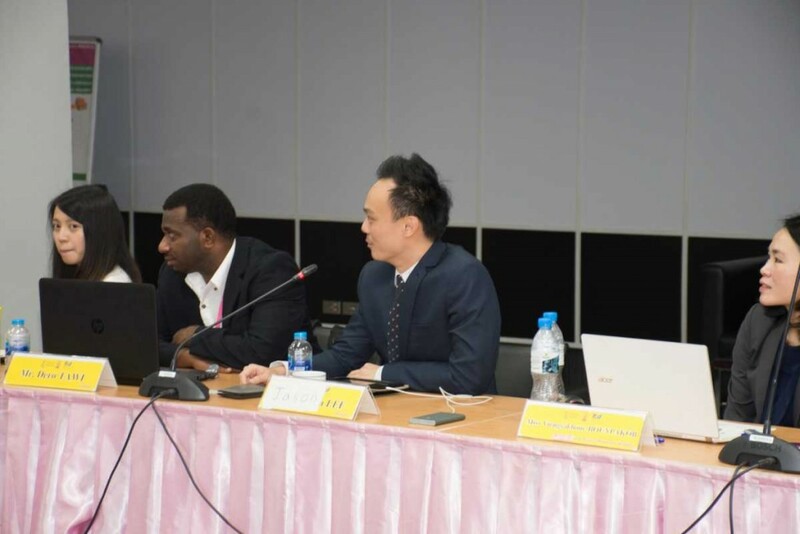 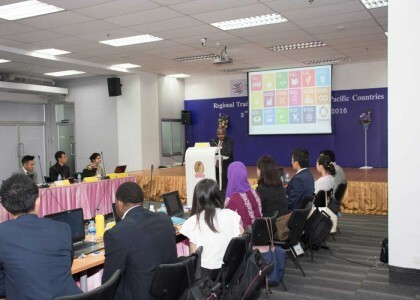 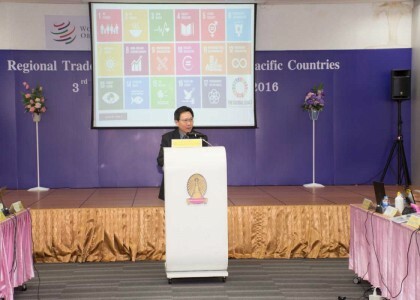 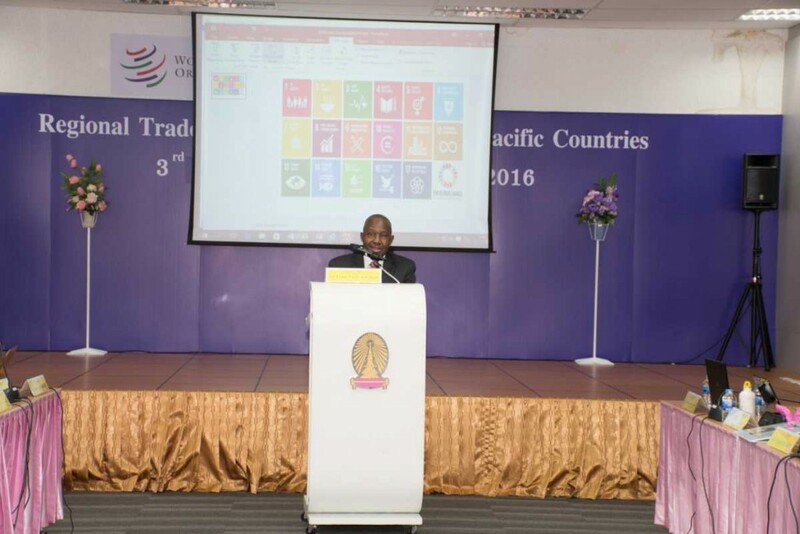 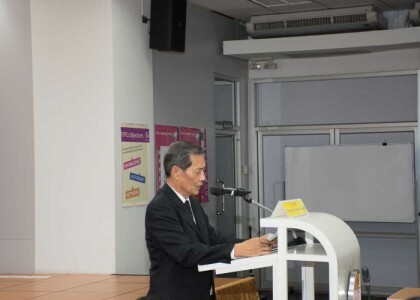 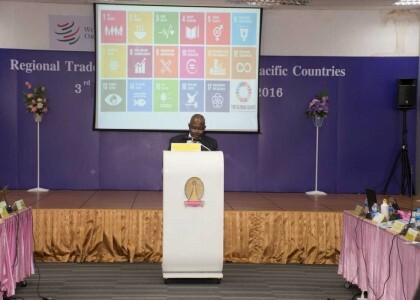 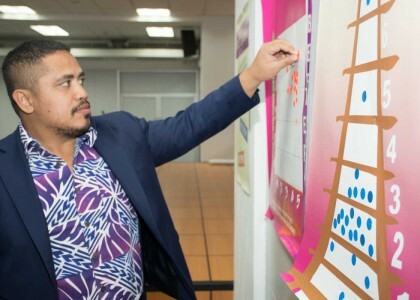 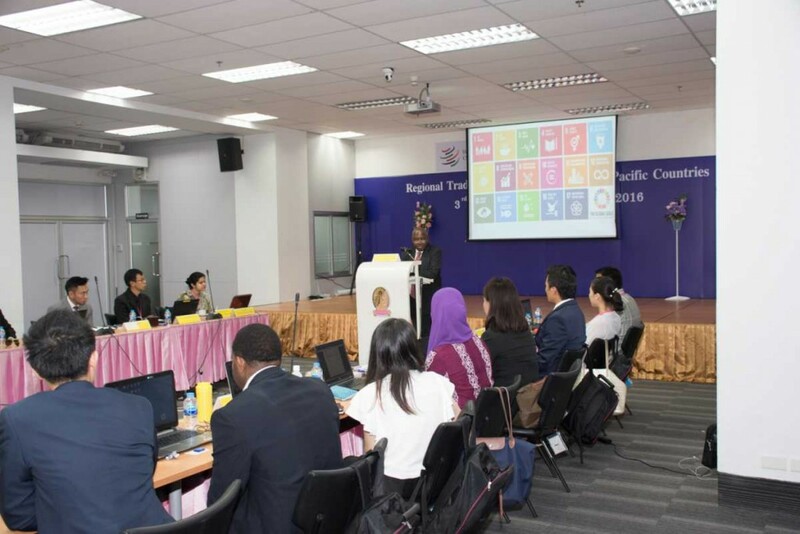 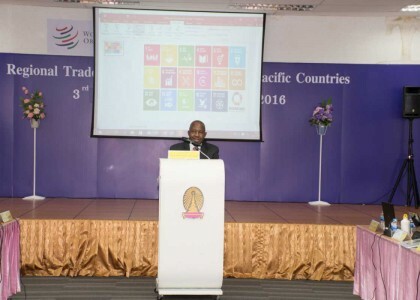 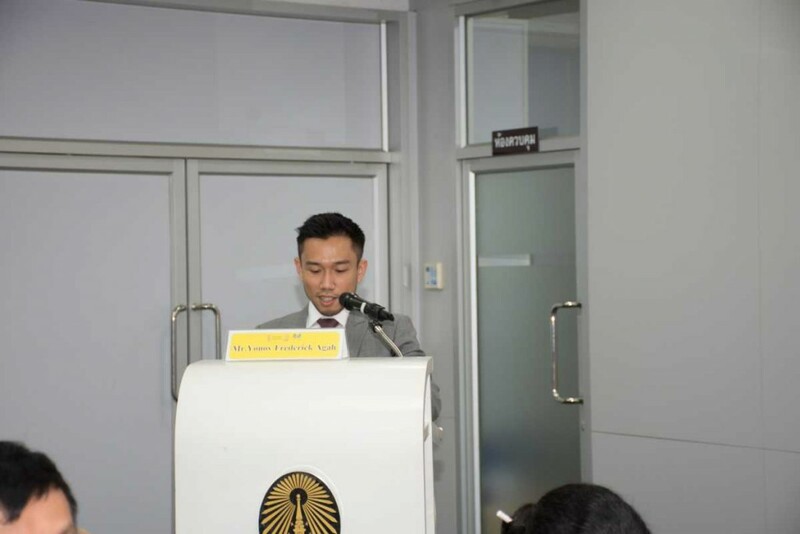 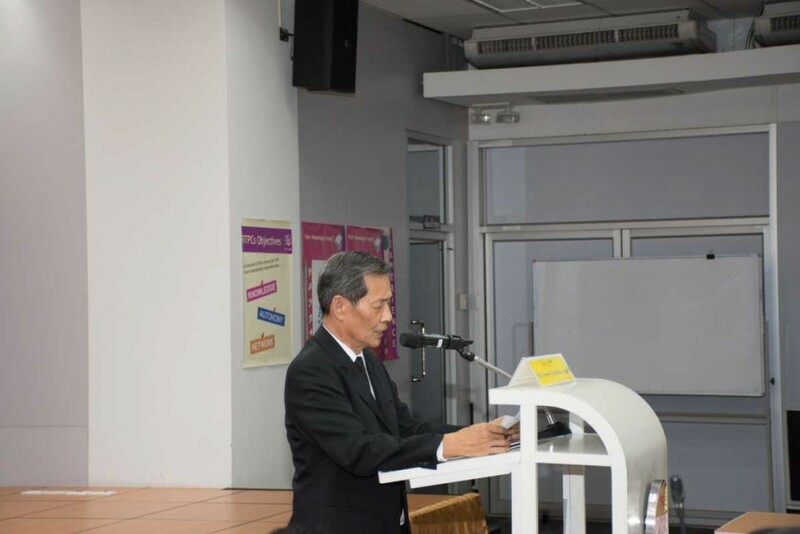 In the afternoon, Mr. Yonov Frederick Agah deputy director of World Trade Organization delivered special speech about World Trade Organization (WTO) and Sustainable Development Goals at Maha Chulalongkorn, Chulalongkorn University.